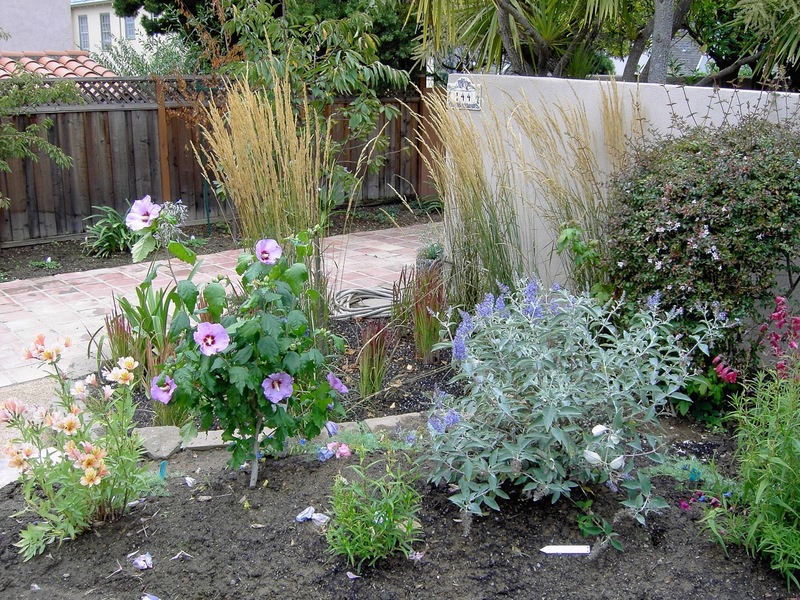 These are gardens or small sections of gardens, where the request was to minimize the use of water. Low Water makes me think of deserts, deserts makes me think of belly dancers. Turn up your sound, this is one of the best I've heard! (Best viewed if you widen your screen.) Kirby Designs (650) 949-5078. This is a small desert floor scape. I used blueish pebbles for the floor with lineation to simulate a stream flowing around "mountains". The mountains came from my friends at Lyngso, they are green basalt. 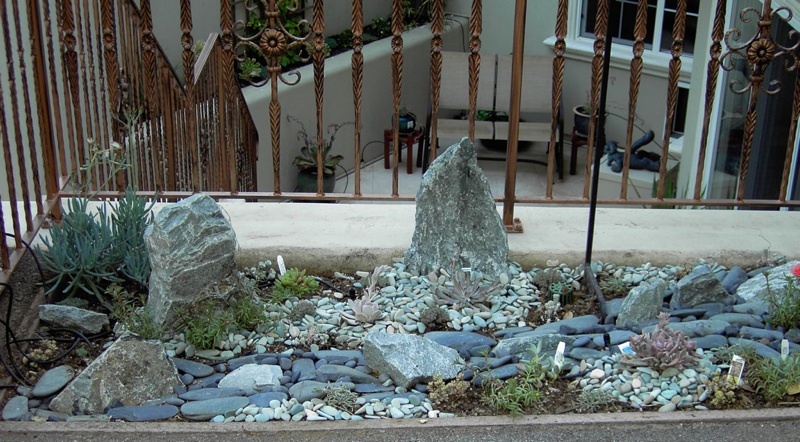 Rocks are interspersed with succulents. Los Altos. 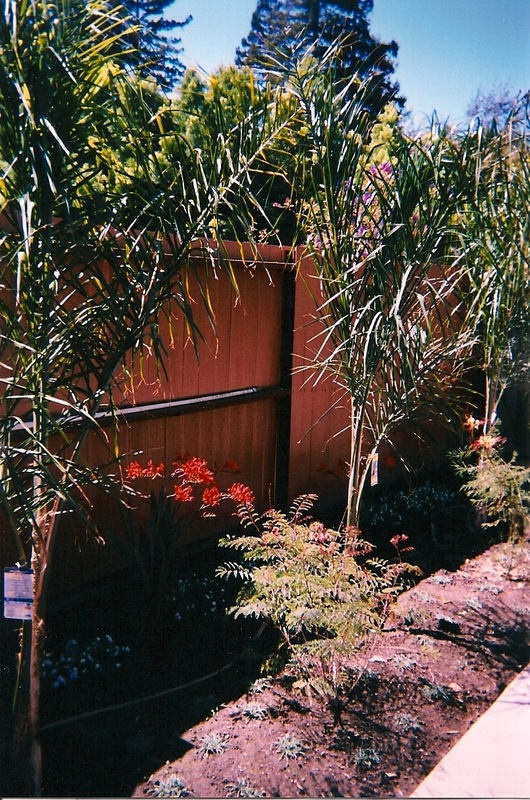 with alternate Caeselpinia, Crocosmia are in the background. Dymondia in the sunny strip. A similar border runs along the other side of the pool. A sand dune in Palo Alto. This was a terrace in a sunken patio we call a well. 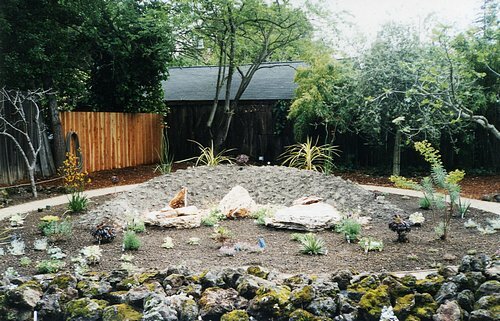 We wanted to minimize the water to this enclosed "planter". 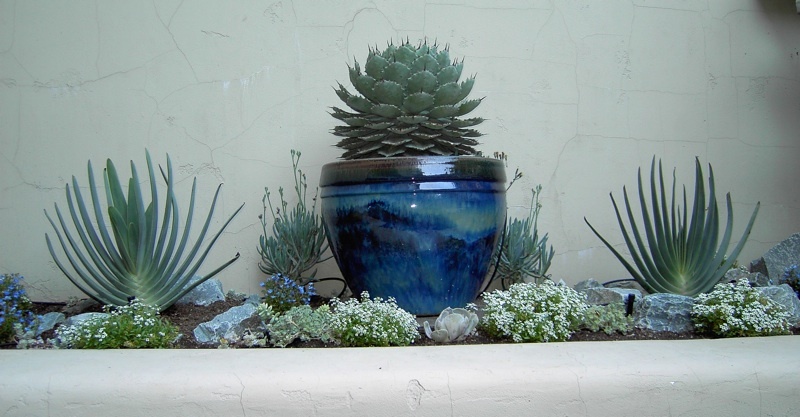 We chose blue/green foliage and a blue pot. We found three dramatic plants: two fan palms and an aloe. Alysum was used to give the impression of an arid desert floor and lobelia used to accentuate the blue ambience. Los Altos. 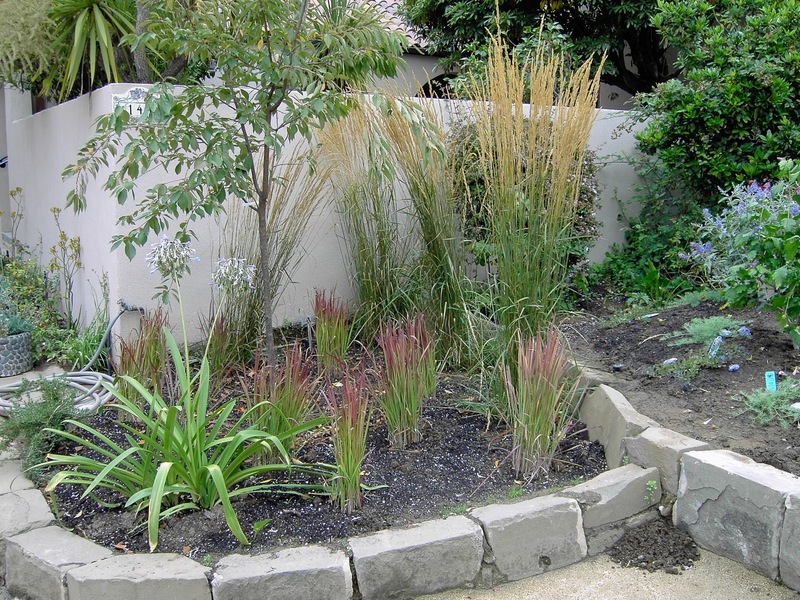 Japanese Blood Grass and Calimagrosti grass, both low water plants. San Mateo. Rose of Shannon and butterfly bush with grasses in the background. San Mateo.